We all know that I like a good afternoon tea. 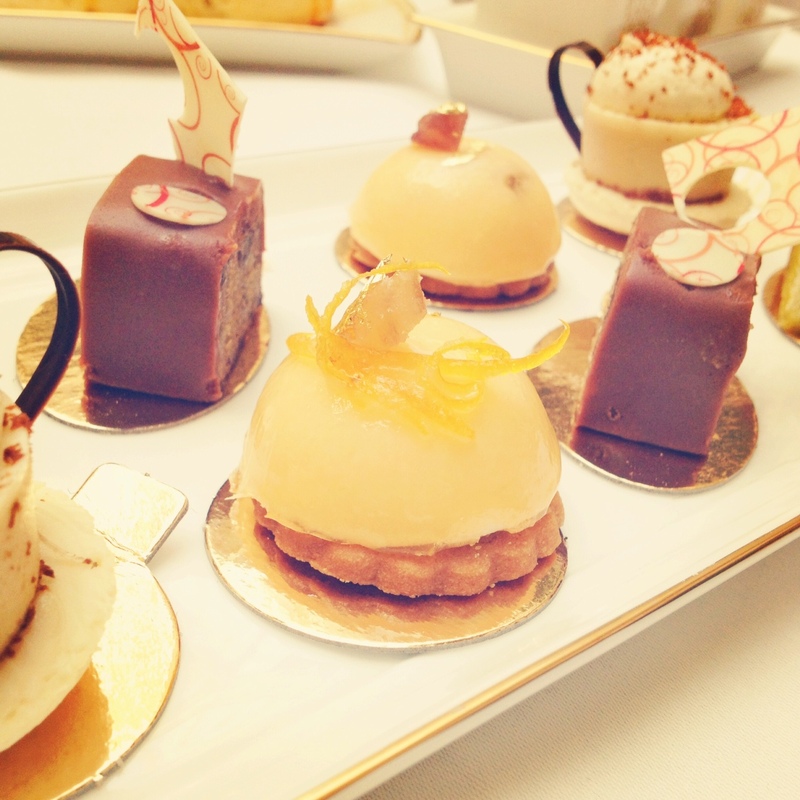 But this afternoon tea was truly one of the best afternoon teas I have ever had. 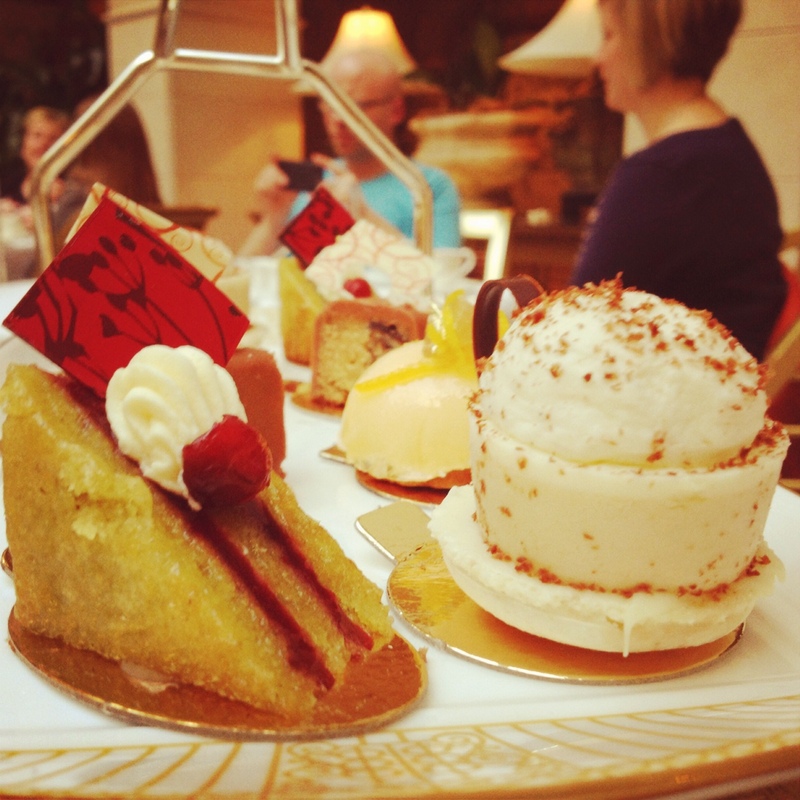 I was in afternoon tea wonderfulness. 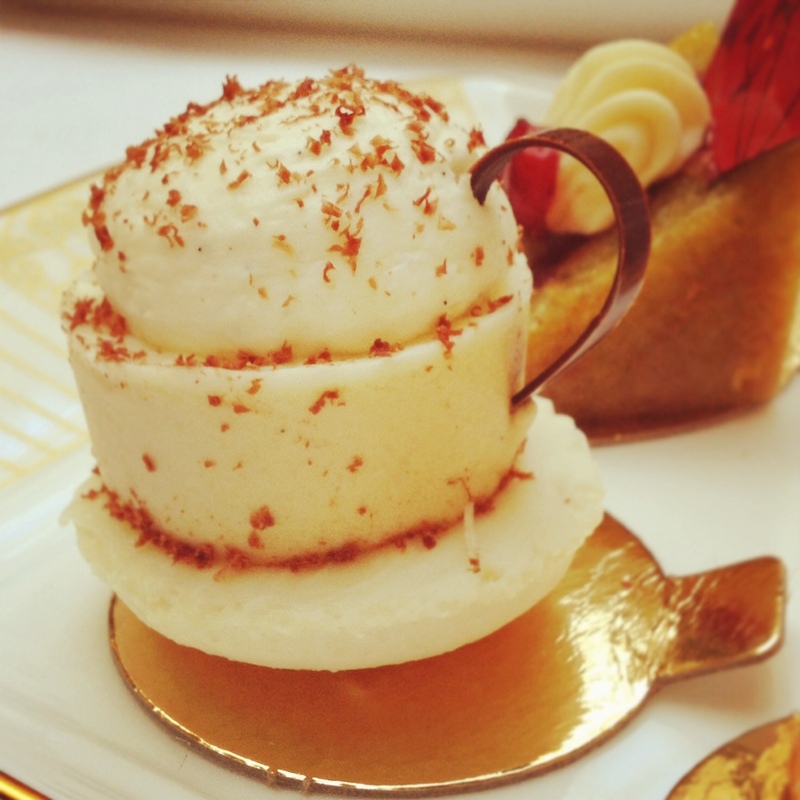 Floating on an afternoon tea cloud… all the way to afternoon tea heaven. I could end the review there. 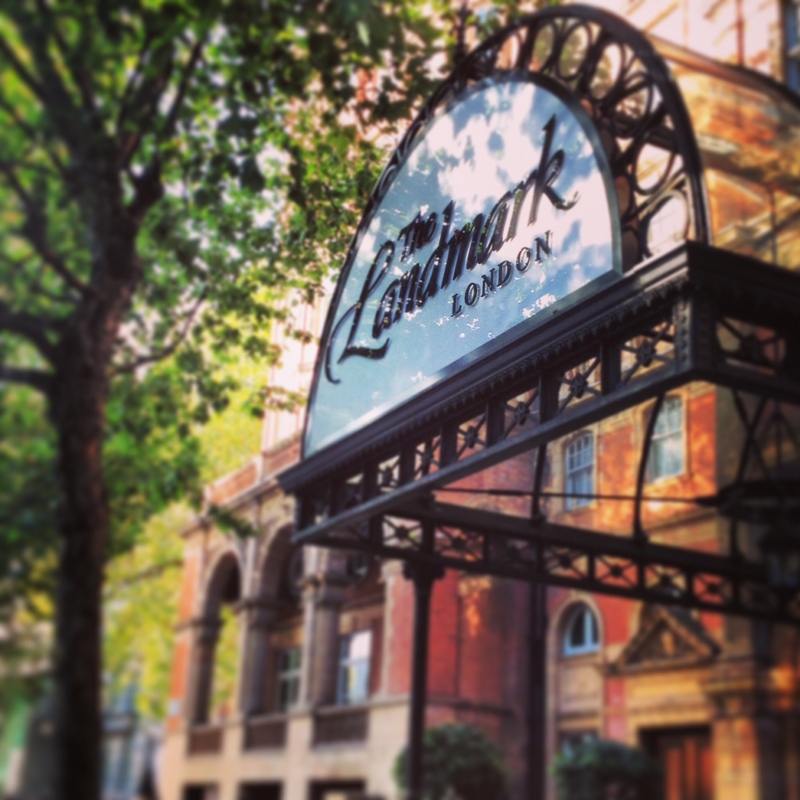 The Landmark was originally built in the 19th century, to celebrate the golden age of steam (I had no idea either.) It used to be called The Great Central Hotel and was designed to accommodate all the new worldly travellers that would now be pouring into London from the also newly built Marylebone station.. There is stacks of amazing history behind this hotel, but one of my favourite titbits is the fact that in 1908, The Landmark hosted a ‘Welcome Back From Prison’ breakfast, for Mrs Pankhurst and the other Suffragettes. But back to the tea.. we (I went with Dust. 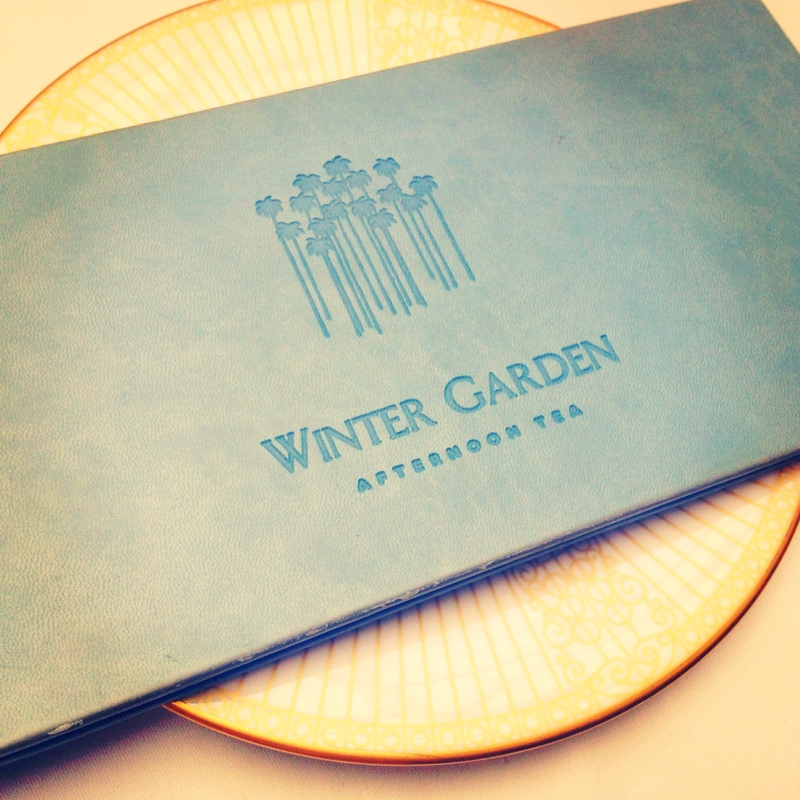 He shall be known as D. Because I say so) sat in the gorgeous Winter Garden and were brought menus, pink champagne (Drappier Rosé) and a gorgeous and quintessentially English selection of sandwiches “we will continue to re-fill your plate…” I heard.. and our eyes glazed over. 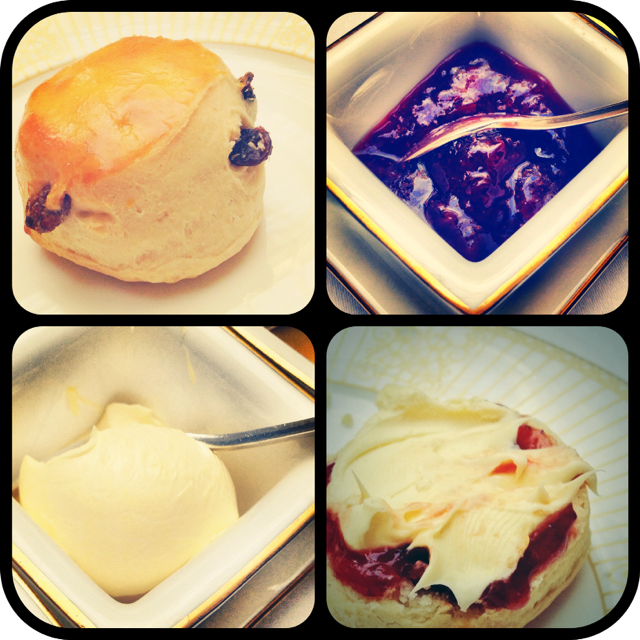 I had managed to find the only ‘all-you-can-eat-luxury-afternoon-tea’ in London. D had some more sandwiches. 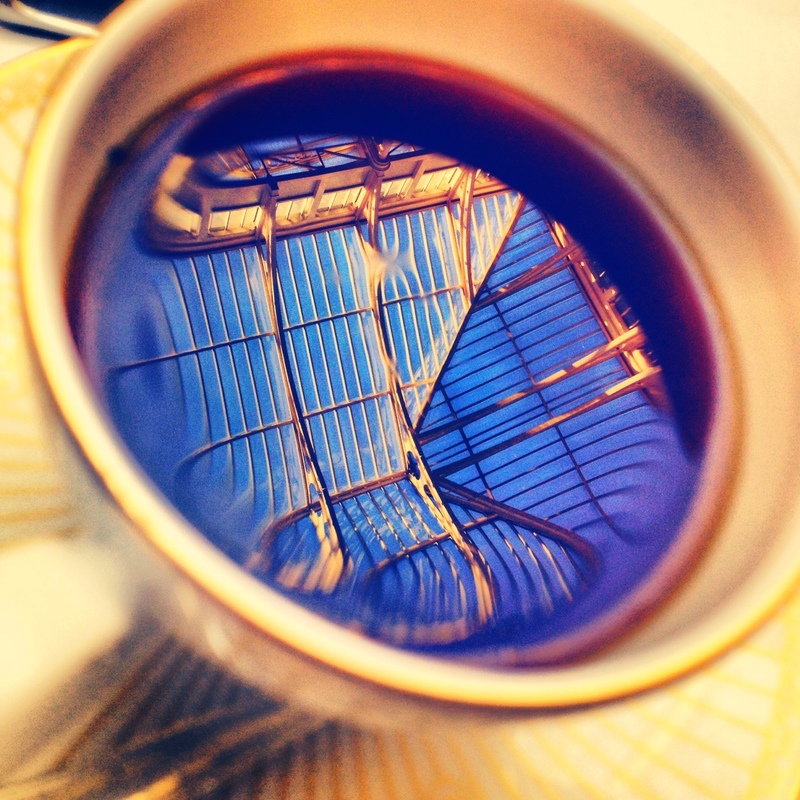 The Landmark Blend – the amazing roof of the Winter Garden is in the reflection.. The tea was delicious. 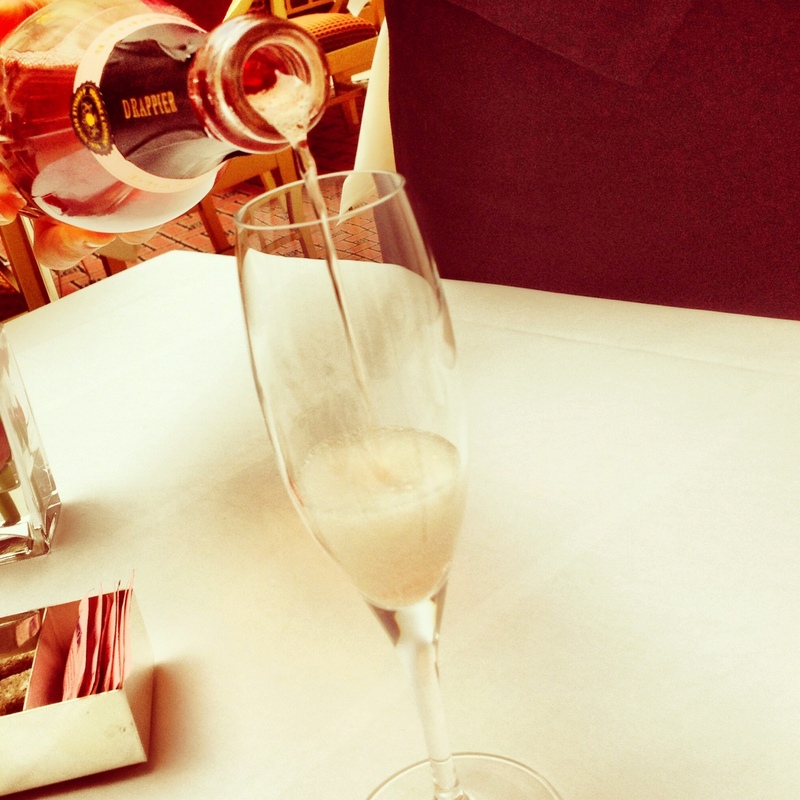 The vanilla was very subtle but was beautifully fragrant.. and it really did complement everything else were eating. Coco mango: coconut macaroon with mango bavarois, Lime Cheesecake with vodka cranberry truffle, Flourless Pistachio Sponge, fig jam and pistachio mascarpone.. and Classic fruit cake with rum and Caraibe chocolate glaze. You’ll be pleased to know I ate every single one. Yes. 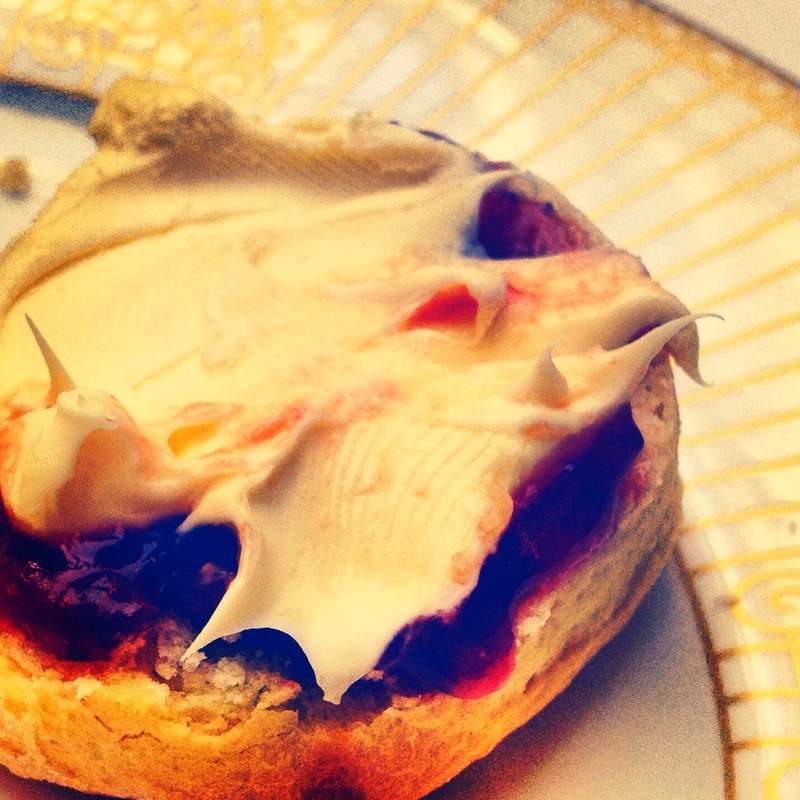 I ate the scones too. 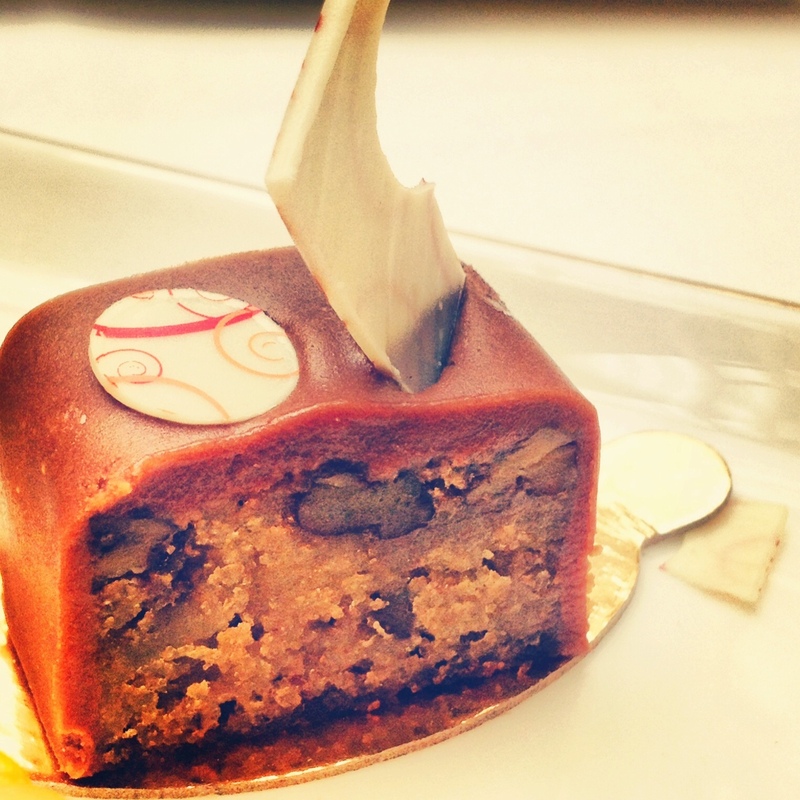 The afternoon tea experience at The Landmark really is incredibly special. 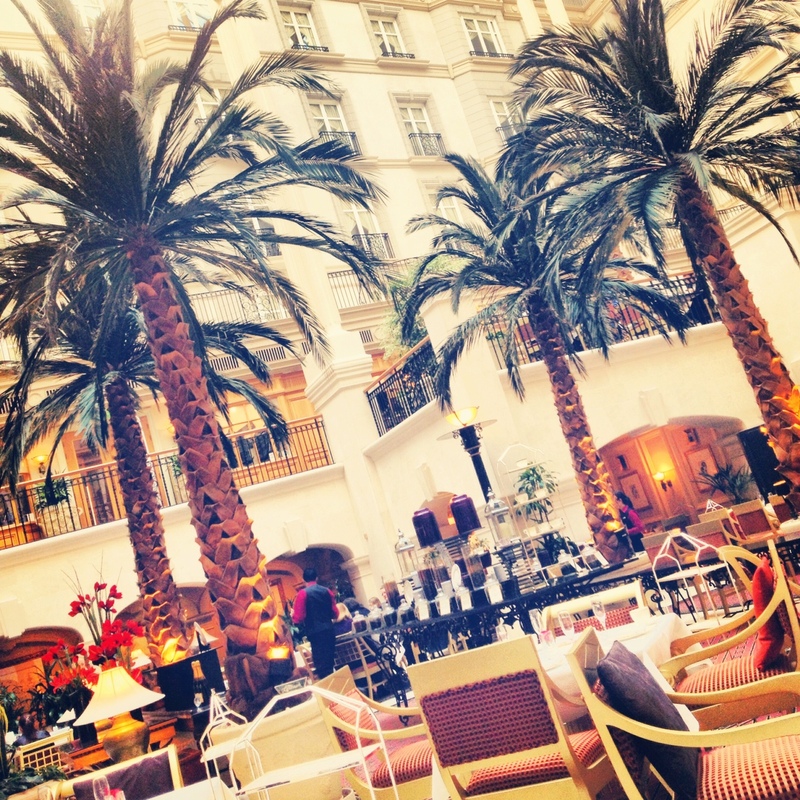 The Winter Garden explodes with palm tress, golden furniture and light.. 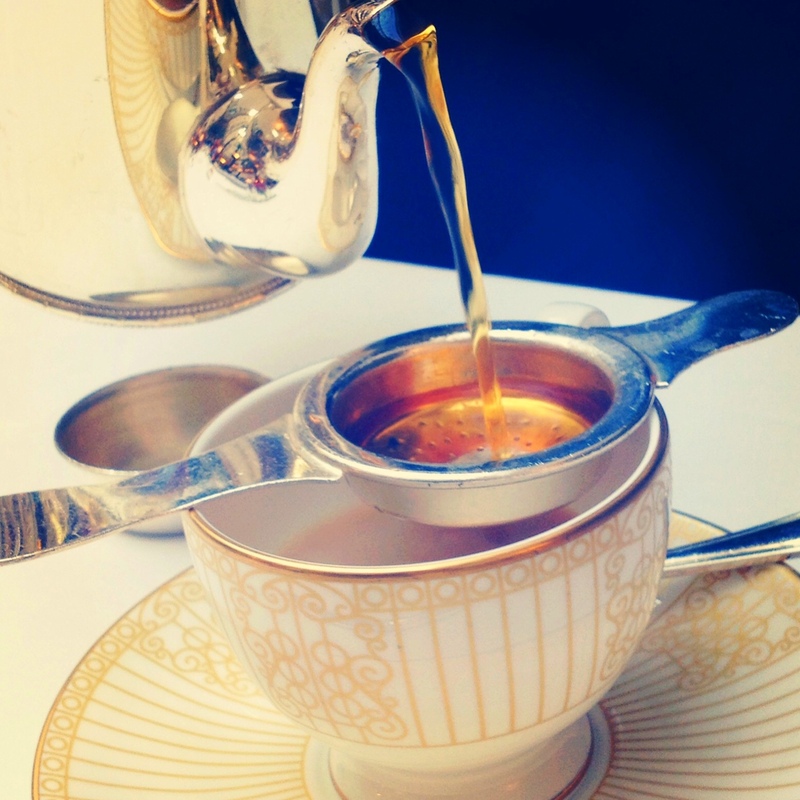 The Royal Doulton china, spotless and starched white tablecloths, impeccably turned out staff and the soft tinkling of ivories in the background add to the ambience, charm and colonial feel… and of course the tea itself is absolutely exquisite. Also, due to the constant re-filling of delicious tea and sandwiches, I wasn’t the slightest bit hungry for the rest of the day. Traditional Afternoon Tea is £40 per person, Chocolate Afternoon Tea is £42 per person and Champagne Afternoon Tea is £45 per person. 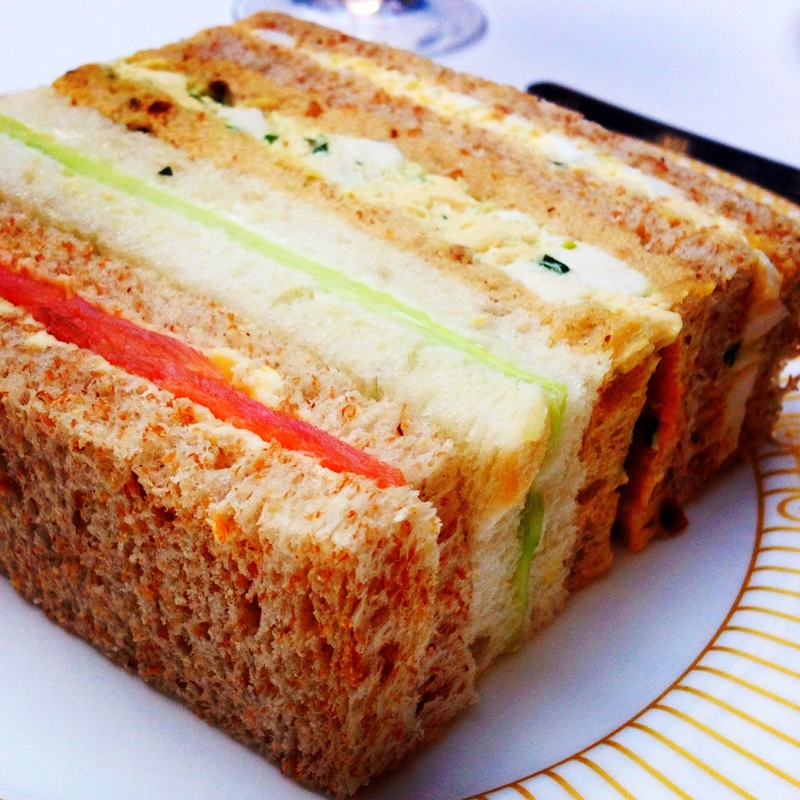 LOVE the sound of this afternoon tea, especially that the servings sound so generous with endless sandwiches. 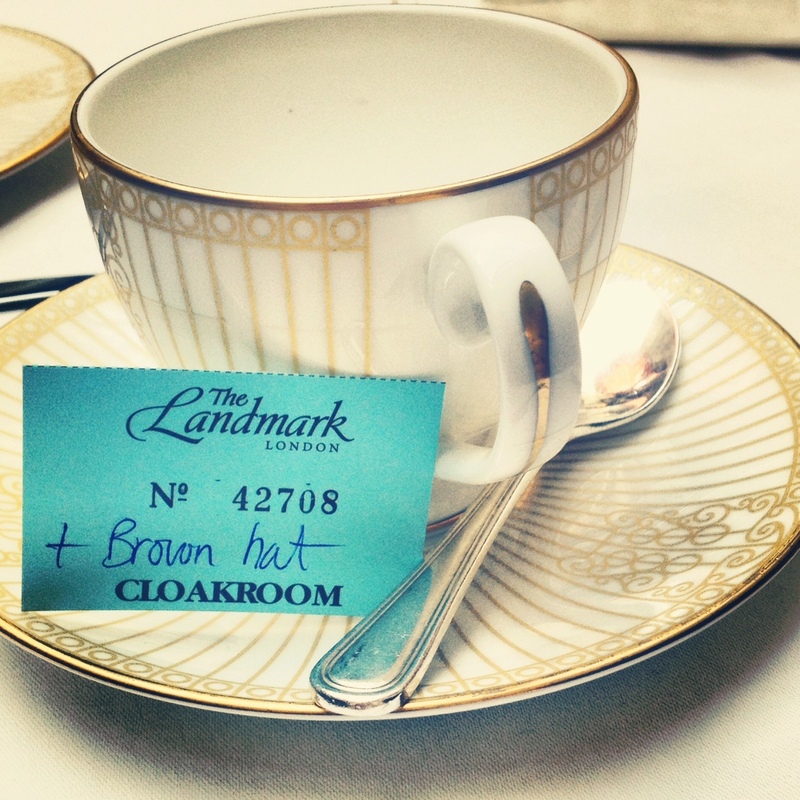 I’m v partial to a spot of afternoon tea so will have to think up a good reason to try out the Landmark, thanks for sharing. I think this may be the only place I haven’t been for tea, whoops! It looks terrific. I am going to book in and take my brother for his Christmas pressie, thanks for the sneak peek Poppy! omg Poppy, you have just ‘sold’ me!! i have yet to do an ‘afternoon tea’ experience, ever- and since this you say- (and looks it too:) is the Best Ever- i have got to give it a go- You had choice number 3 right, for 45£? What a fun time/day/experience! 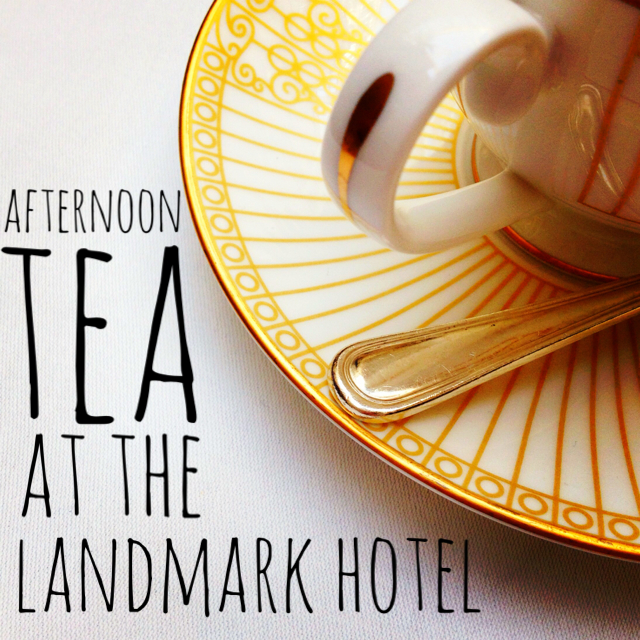 Ohhhh…now I have heard that The Landmark was a lovely tea…this looks so good! I will be adding to my wish list for our blog!